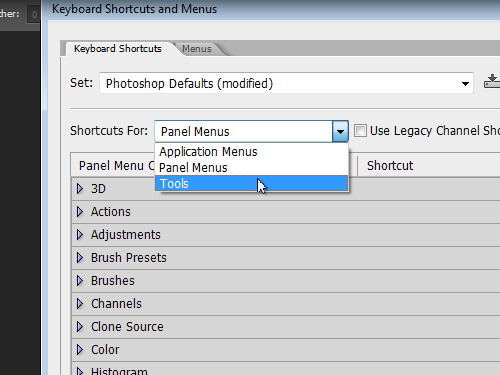 In this video tutorial we will show you how to change Photoshop keyboard shortcuts. Launch the Adobe Photoshop. 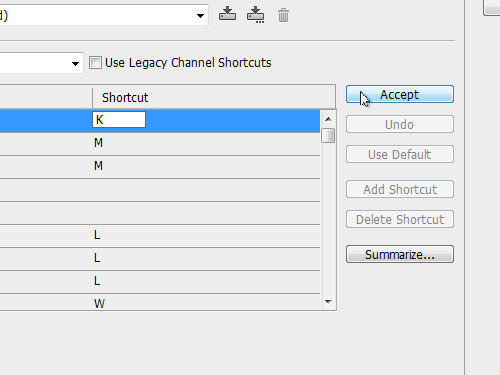 Go to the “Edit” menu and select the “Keyboard shortcuts” option from the drop-down menu. 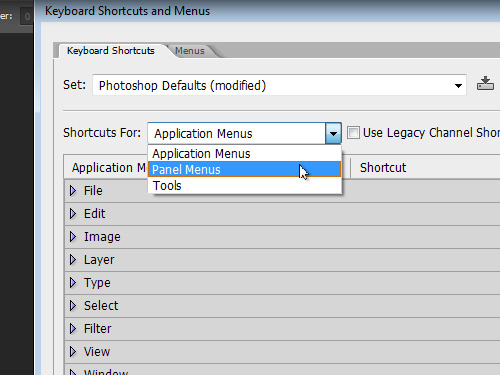 In the opened window you can change a keyboard shortcut for any menu item, panel or tool. For example, to change the “Move Tool” keyboard shortcut, select “Tools” from the drop-down menu, find the “Move Tool” item and click on its keyboard shortcut. Now you can enter new keyboard shortcut. Click on the “Accept” button and then on the “OK” button. As you can see, the keyboard shortcut for “Move Tool” has been successfully changed. This way you can change any other keyboard shortcut.